Dr.Donald Abrams, UC Center for Medicinal Cannabis Research, describes trial to determine if smoked Cannabis is effective for neuropathic pain in HIV patients. 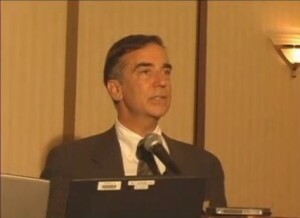 From 2004 Cannabis Therapeutics Conference, hosted by Patients Out of Time. DVDs are available. Note: Feburary 2007 study results in journal Neurology: Medical Cannabis is safe and effective for peripheral neuropathy; narcotic medicines have little effect.